EMPOWERING THE SECRET TO YOUNG LOOKING RADIANCE SKIN! Thks TSS for sending me Avalon Japanese Fish Collagen Powder. which enable my skin to regenerate and glow. 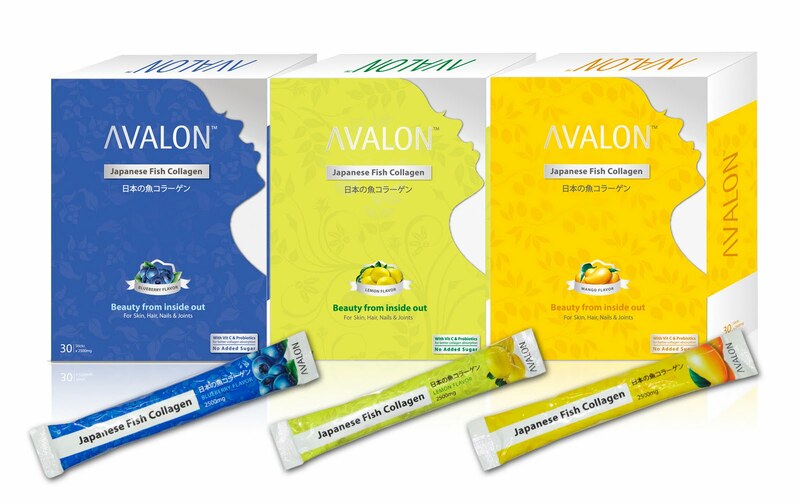 AVALON JAPANESE FISH COLLAGEN IS THE NO.1 COLLAGEN IN JAPAN! My problems are the all stated above and Avalon solve all this problems. They maintained my skin elasticity and complexion and promote my fair melanin as i religionly comsume the powder with my juice. Promotes my Collagen under my damage skin and regenerate new cells to improve my ugly scaring. And Of course, my red marks are still visible just that lesser visible HOLES. :DAs im aging super fast due to my lack of sleep, my skin appear dull and dry. Makeup cannot even make me look healthy. So Avalon Collagen helps to promote healthy hormones as well to reduce my pimples and generally improve my complexion. Istarted to use lesser makeup and finally my skin feels more supple and bouncy. Packed with L- Vitamin C, antioxidant and anti aging properties, it became a ultimate health supplement that turns back the clock and give us back what we lose as we age. Pour one sachet into a cup/mug. Add Cold water or Fruit juice. Best taken in the morning and night. I Opt for Fruit juice as i took them in morning which my body absorb the most nutrience during the day and much healthier too! Available flavours: Lemon, Mango & Blueberry. Drink it, taste it, pour it. Good for weight watcher and diabetes. It also helps to balance intestinal microflora & rebuild a healthy intestinal system to further boost our collagen peptides and L-C vitamin absorptions. 30 sachet in a box.